It has been only 6 months that we have actively operated in Lithuania and we are happy to see the scope of fascinating real estate development projects, growing interest in EstateGuru and to be able to offer what market and its players really need: quick & flexible financing for real estate developers and businesses. During a short period of 6 months we have already financed more than €4 million worth of projects. The current article’s main topic is commercial property market in Lithuania and its two biggest cities – Vilnius & Kaunas. In order to get a better understanding of the market we are not only taking data but also talking to developers who are successfully operating in the field. In order to illustrate the market situation, we spoke with Ober Haus who creates a variety of market reports based on big data. When it comes to commercial property, developers are not intending to decrease their development volumes. In total, 6 new commercial development projects were completed in 2016 bringing 80.800 sqm of office space to the market, as expressed by Ober-Haus reports. This information is also confirmed by Inreal as based on their report for 2017, clear leader in commercial sector is definitely Vilnius where around 20 business centres were developed during 2017. The number provided by Inreal is even higher when it comes to an overall supply of commercial space: it is estimated to be 146.000 sq. meters. And Kaunas is not far from Vilnius (both geographically and business/growth-wise), where 3 new business centres where opened in the beginning of 2017. And for the whole year it is estimated that a total of 73.500 sq. meters of commercial space will be added till the end of 2018. EstateGuru can see an increasing demand for financing from businesses that are planning to start coworking spaces – in Lithuania and around the world. It’s two of the trends combined, we’d say. Coworking & crowdfunding. Ba2nks usually don’t understand – or at least they haven’t until now – new & progressive businesses and business models like coworking, Which EstateGuru relates to. “Despite the supply leap in 2016 and 2017, developers in Vilnius also have some serious plans for 2018. Projects in different stages can offer considerable amount of office space. 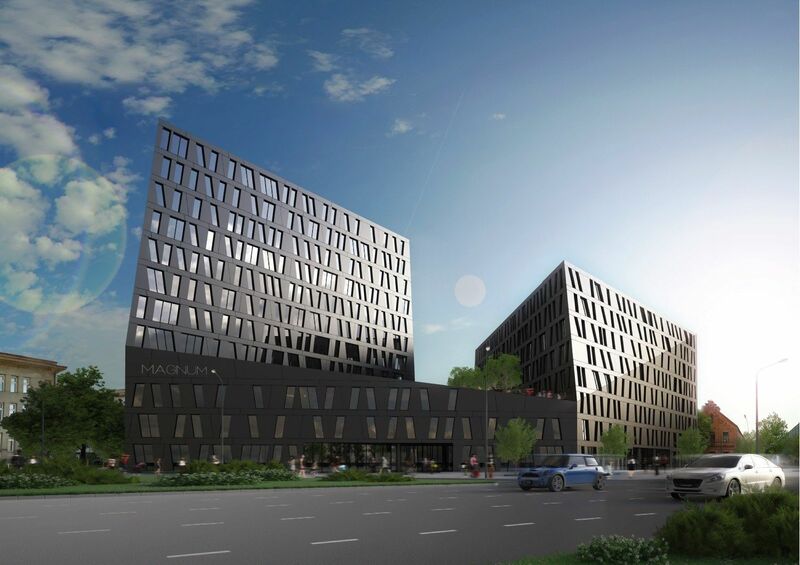 Lithuania’s second largest city Kaunas is trying to follow the example of Vilnius and not only increases the competition in the city’s office market but also challenges Vilnius. 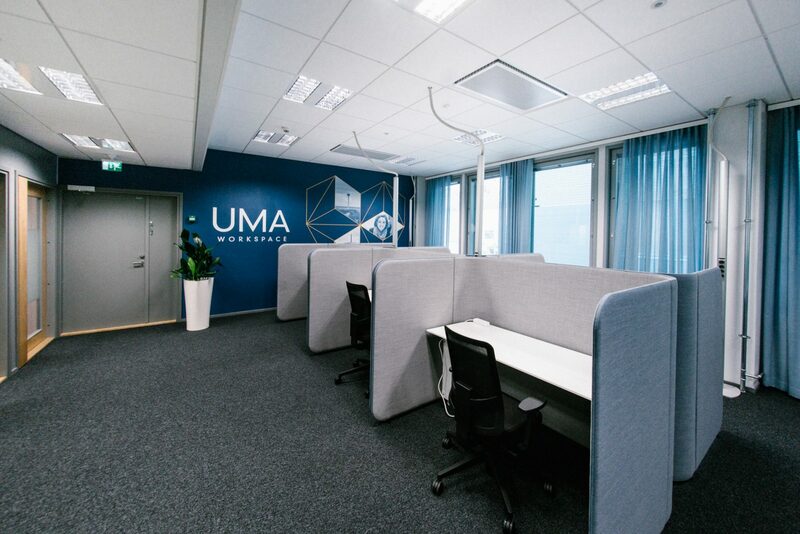 Companies developing their office projects in Kaunas probably expect that the service centres that are still undergoing expansion in Lithuania will decide to establish themselves in Kaunas too – previously, when the supply of office premises was not vast, this was hardly likely. It is therefore evident that truly impressive challenges await the office market in the foreseeable future. 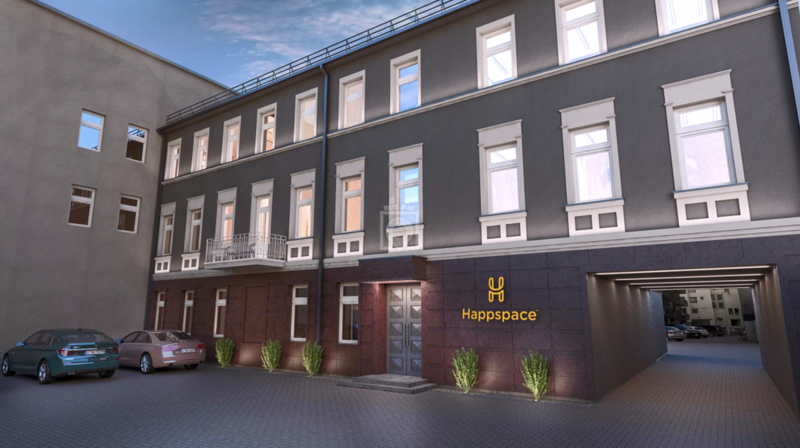 EstateGuru has visited a second location of coworking brand Happspace in Kaunas and asked a few questions. The representative Algirdas Pukis kindly shared his insights. EG: Your firm’s growth is pretty impressive – two already opened coworking locations, third under preparation and another one planned for Vilnius. What drives such a growth – both for your projects and the market itself? 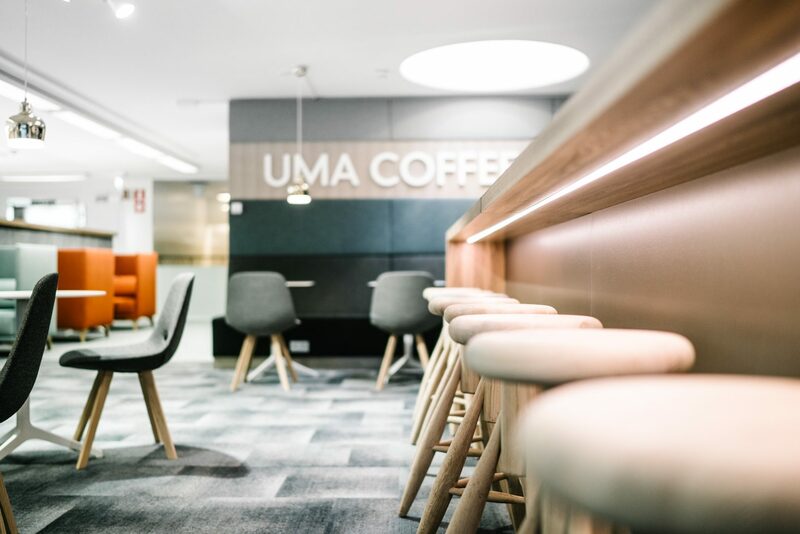 AP: Well, co-working centres are not a completely new thing but their culture and broader use is becoming increasingly popular in Lithuania only recently. We’re happy to be a part of this movement – nurturing that culture. We believe that a demand for a variety of workplaces is only going to increase – work culture is changing, people’s needs are changing. All we do is respond to those needs by offering comfortable workplaces for companies and freelancers. EG: What do you think how such a rapid growth in a commercial real estate sector (many business centres that are being built and planned in both Vilnius and Kaunas) will affect the residential market? Maybe you can identify certain signs, like a growing demand, in Kaunas already? 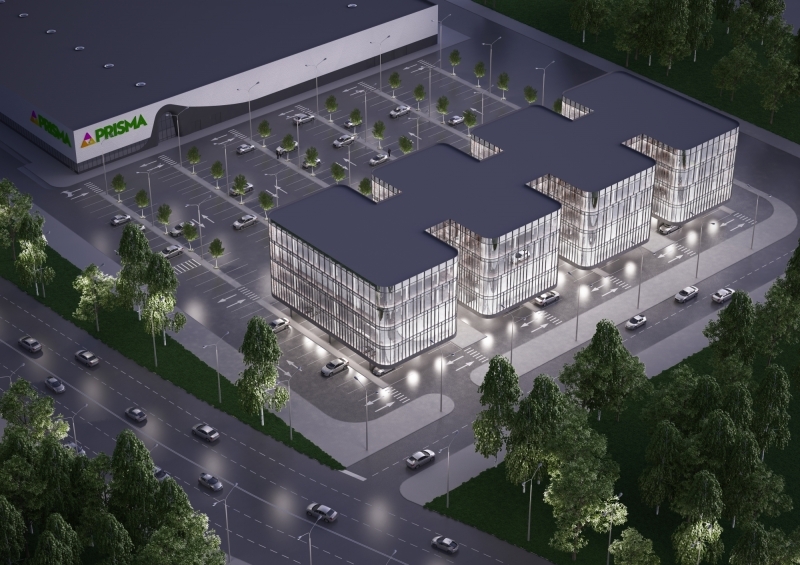 AP: Development in Kaunas is really rapid and active. We haven’t seen such a growth for a good 10 years if not more. And we’re really happy about it. New developments are encouraging to move forward the whole region. But there’s also an undeniable question of demographics. While Vilnius is growing, Kaunas and its region are still catching up. But at the same time it’s moving forward at a faster pace than ever before. I think that all those newly-created workplaces are going to be filled and with this also comes growth in population. And that will increase the demand for residential property. EG: What are the trends when it comes to workplaces? Some time ago it was open plan offices that were on the hype, then coworking and small office spaces came. What’s next? AP: Well these things are hard to forecast. I think now and in the future we’ll need a variety in that because the way we see workplaces is changing dramatically. But even if the way we work, our lifestyles are changing at a fast pace, I think the people don’t change as quickly. Now the same as before everyone wants to have their team, community, to socialize. EG: Let’s talk about financing. How does such things as crowdfunding helps the market or even your business in particular? You’ve mentioned using a p2p lending platform’s help to start the first Happspace location. AP: It was an interesting alternative to usual financing options and helped us with operating capital when starting the project. The main advantages where speed and easiness of all the procedures related to getting financed. EG: Investing in coworking projects is becoming more & more popular and we’re hoping to offer a few projects like this for our investors, too. 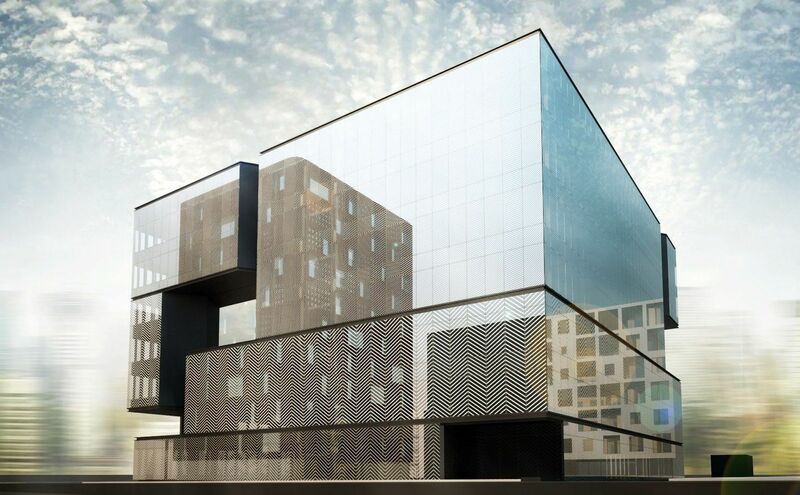 Especially in Vilnius and Kaunas where these kind of projects are in demand – developers are looking towards that direction, demand from those willing to move into such spaces is rapidly increasing, too.